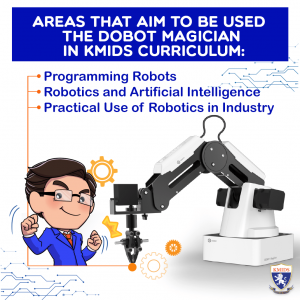 Students from KMIDS had the opportunity to visit the KMITL College of Advanced Manufacturing Innovation to learn more about robotics and how they are used in local industry. 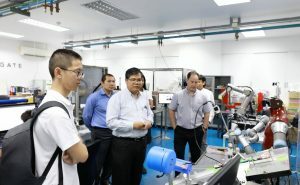 Associate Professor Dr. Siridech Boonsang gave students a warm welcome as well as a tour of the many robotic projects in development throughout the lab. Students were able to experience artificial intelligence in action via a live demonstration. Students viewed a robotic arm that was able to identify different packages by their color and size. Additionally, students learned about how the Python programming language is used to program robots. 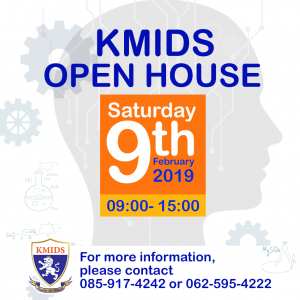 Associate Professor Dr. Siridech Boonsang welcomes all KMIDS students and faculty to visit the lab and learn more about robotics, artificial intelligence and computer programming. Previous: Previous post: Dream Career as a Pilot?